This page was written by Erin Klauk as part of the DLESE Community Services Project: Integrating Research in Education. Funding was provided in part by the Montana Office of Public Instruction. The Crow, also called the Absaroka, Apsalooke, Apsaroke or Absarokee, who historically lived in the Yellowstone river valley, now live on a reservation south of Billings, Montana at Crow Agency, Montana. The reservation encompasses approximately 2,300,000 acres, with about 98 percent of the estimated 10,603-12,000 tribal members residing in Big Horn and Yellowstone counties (Wikipedia). The Crow came to live on this land after migrating through the Great Plain in search of The Sacred Tobacco Plant, which they found in the east slopes of the Big Horn Mountains (Crow Indian Tribe Resources Report: Culture and History). The Crow language is a member of the Missouri Valley Siouan languages, believed to have split from the Hidatsa tribe in present-day North Dakota either around 1400 to 1500, according to cultural anthropologists, or 900 to 1000, according to linguistic anthropologists. The traditional shelters of the Crow are tipis made with bison skins and wooden pole. Traditional clothing the Crow wore depended on gender. Women tended to wear simple dresses made of mountain sheep or deer skins, decorated with elk teeth, and covered their legs with leggings and their feet with moccasins. They had short hair, unlike the men. Male clothing usually consisted of a shirt, trimmed leggings with a belt, a robe, and moccasins (Wikipedia). The Crow lived under one rule, a government where leadership, trust and respect was earned. Certain accomplishments had to be met before an individual could be called a Good Man, and only Good Men were involved in deciding the future and well being of the nation. These requirements include leading a successful war party, touching a live enemy under fire with the bare hand, capturing a weapon from the enemy under fire, and capturing a tethered horse in the middle of the enemy's camp. The basic components of the Crow way of life include The Clan System, The Sacred Sweat Lodge, The Sacred Pipe and Smoke Talk (Crow Indian Tribe Resources Report: Culture and History). Today, ranching and farming, government services, coal mining, and tourism create jobs for many of the people. 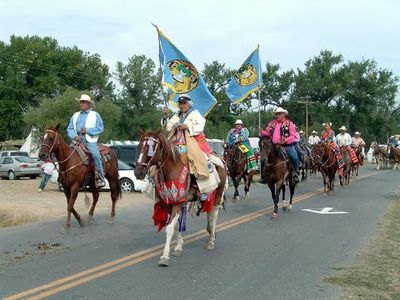 Crow Indian Tribe Resources Report: Culture and History This section of the Statewide Draft Oil and Gas Environmental Impact Statement presents a brief summary on the culture and history of the Crow Indian Tribe. Crow Nation This site provides information about the Crow Nation. Topics include geography, language, lifestyle, lineage, scouts, government, constitution controversary, leadership, mythology, chiefs, the Crow fair, films, further reading and external links. Crow Indian Reservation This site, designed for children provided a general overview of the Crow Tribe. The Crow Indians This online book was written by Robert H. Lowie. Among the topics included are tribal orginization, wars, religion, rights and festivles, and dances. Crow (Apsaaloke, Apsaroke, Absarokee) This website contains links to information about the Crow language, culture and history. 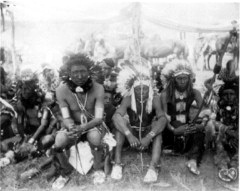 Crow Tribe This resource contains information about the Crow's history and government. Also included is a photo gallery and contact information for the tribe.